Cataract surgery with implantation of a traditional monofocal lens implant, targeting distance vision, leaves most patients dependent on glasses for near vision. Now patients who desire less dependence on glasses after cataract surgery have additional options at the time of cataract surgery. For those patients who desire greater independence from glasses after cataract surgery there are now multifocal implants. These advanced implants provide the patient with improved vision for far and near without glasses. We are proud to offer this technology to all our pateints who are interested and are good candidates. However, these lenses are not covered by insurance plans and will cost an additional fee at the time of surgery. Another group of patients who are also more dependent on glasses after cataract surgery are those with astigmatism. Astigmatism is very common and is related to the curvature of the front part of the eye called the cornea. 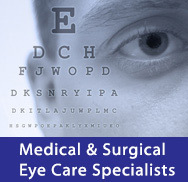 Traditional monofocal lens implants do not correct astigmatism and glasses are typically required after surgery. However, lens implants that correct astigmatism during cataract surgery are now available called toric lenses. These lenses can give patients with astigmatism excellent distance vision without any glasses, but glasses will still be necessary for reading and other near tasks. These are an excellent option for many patients but also are not covered by insurance and will require an extra fee at the time of cataract surgery. We are proud to offer all these advanced technologies to our patients who are good candidates and desire less dependence on glasses after cataract surgery. The questionnaire below can help determine which lens implant is best for you based on your personal visual needs and preferences.